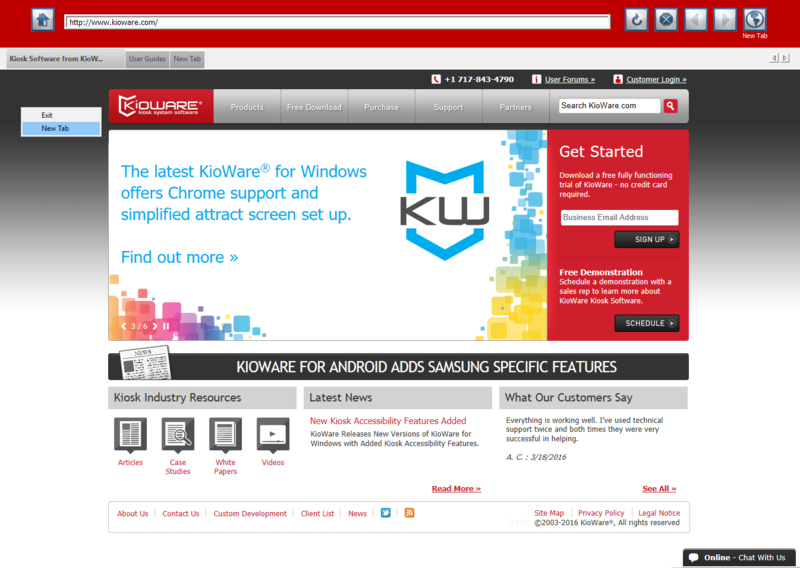 After the KioWare kiosk software is configured through the Configuration Tool, the User Interface component allows users to interact with your application in a locked-down kiosk mode. 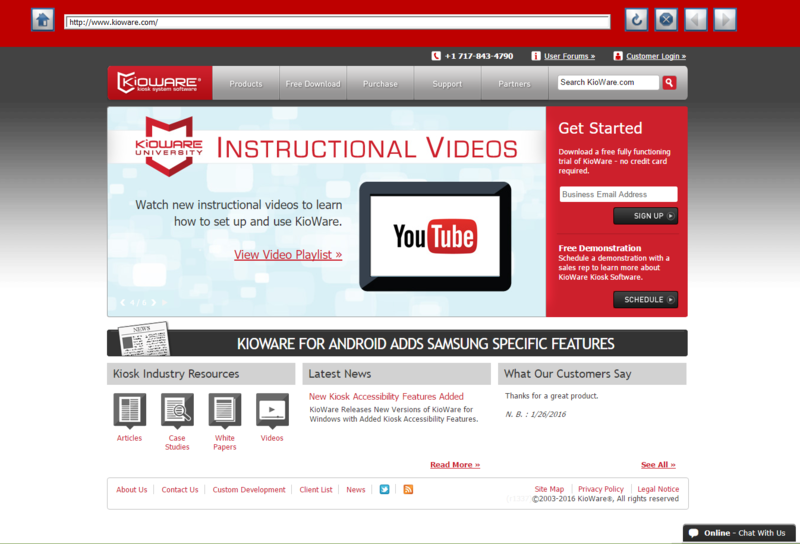 The User Interface displays your application full-screen, hiding all Internet Explorer browser controls and menu options. 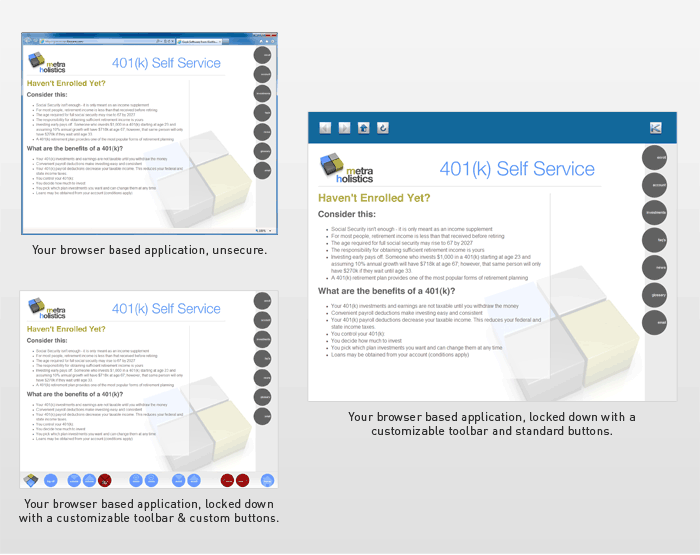 You can either run your application without a toolbar or create a custom toolbar. The Toolbar Editor allows you to replace the Internet Explorer browser controls with safe and secure navigational buttons, custom links and address bars. Additionally, the User Interface provides security by preventing users and other processes from accessing the OS and the desktop, and allows you to customize Internet access with Allow or Revoke lists for individual pages or entire domains. It can also display multiple attract screens when not in use, warn the user that their session is about to end, and reset the application back to the home page, including running an optional logoff script, after a defined period of inactivity. Alternatively, a security mat or proximity switch can be used to initiate and end a user's session.